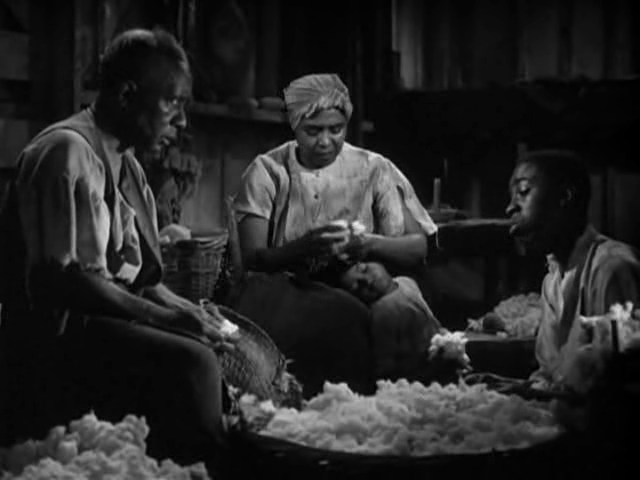 MGM racism: waiting to see which one will make a remark about watermelons first. I’ve only managed to see one of Fred Zinnemann’s short subjects made at MGM, which is frustrating: surely his CRIME DOES NOT PAY episodes will reveal something of the noir skills displayed later in ACT OF VIOLENCE. The short I did see is THE OLD SOUTH, a very peculiar piece of work indeed. 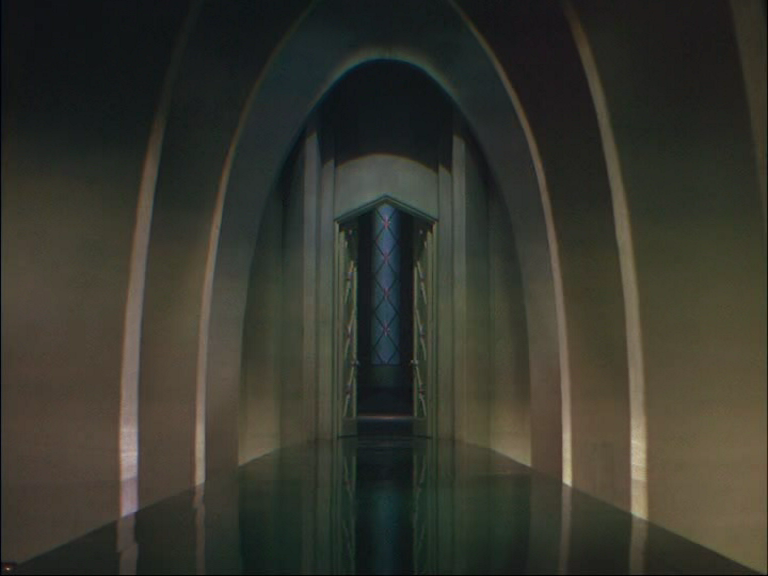 Seemingly made to pave the way for GONE WITH THE WIND, educating audiences who might not know their history, it’s highly unusual for a Hollywood product of the day, since it’s rather hard to get a sense from it of what we’re supposed to think and how we’re supposed to feel. This is because the movie is terribly afraid of offending anybody, although it seems far more afraid of offending southerners than, say, black people. Zinnemann, who I guess was only doing his job, eventually atoned by making the splendid MEMBER OF THE WEDDING, but first there was his B-movie phase. KID GLOVE KILLER is a forensic procedural that plays like a kind of 1940s CSI. 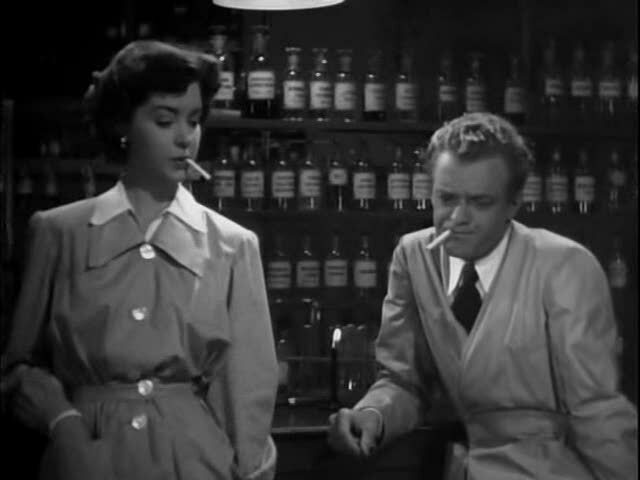 Of course, it’s warmer, with a sweetly banal boss-assistant relationship between Van Heflin and Marsha Hunt. Zinnemann was pretty pleased with the results, considering, and returned to the procedural format with DAY OF THE JACKAL and, sort of, THE NUN’S STORY. He was much less happy with EYES IN THE NIGHT, but looking at it now, it’s a very enjoyable picture. Edward Arnold plays Duncan McLean, blind detective, who, aided by his intrepid German shepherd, Friday, and by Allen Jenkins and Mantan Moreland, investigates a spy ring storyline that somehow carries elements of MILDRED PIERCE and THE RECKLESS MOMENT. The taboo of filial ingratitude is softened by making the offending offspring a stepdaughter (Donna Reed!) and a happy ending is of course provided. 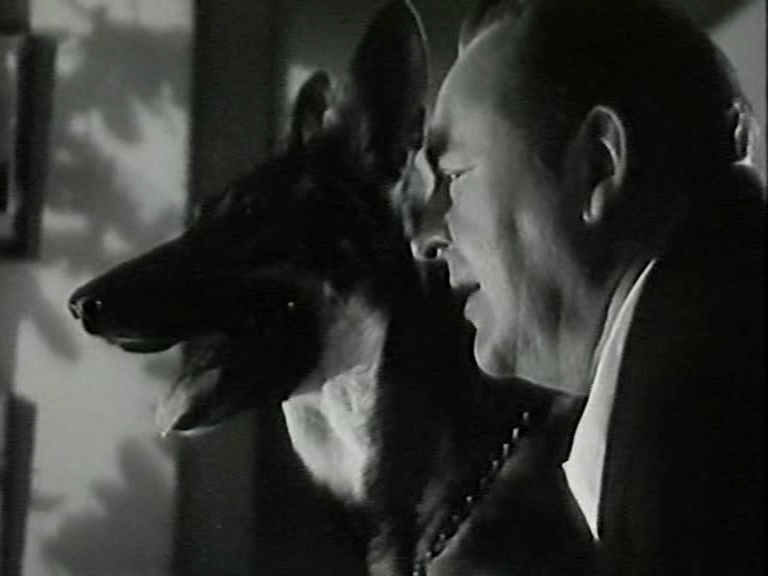 Zinnemann complains in his autobio that his blind man couldn’t remember his lines and blew take after take, while his dog was good for one take and would afterwards get nervous and hide (he faced a similar performance discrepancy with Sinatra and Clift in FROM HERE TO ETERNITY, which weirdly also features a character named Friday). In spite of this, the team were successful enough to appear in one more picture, THE HIDDEN EYE, directed by Richard Whorf. The blind detective was created by Baynard Kendrick, and unless I’m misremembering, his other senses were so acute, he could read ordinary writing by running his fingertips over the print. The movie version isn’t so superpowered, but he’s a master of judo (somewhat unconvincing, when he’s played by the portly E.A.) as well as smart and quick-witted. So’s the script — it throws in a quote from Milton, a gaggle of plot twists, family melodrama, and lots of good business for the dog. The other sidekicks are somewhat underused. O loss of sight, of thee I most complain! Blind among enemies, O worse than chains, dungeon or beggary, or decrepit age! Guns blaze in the dark! 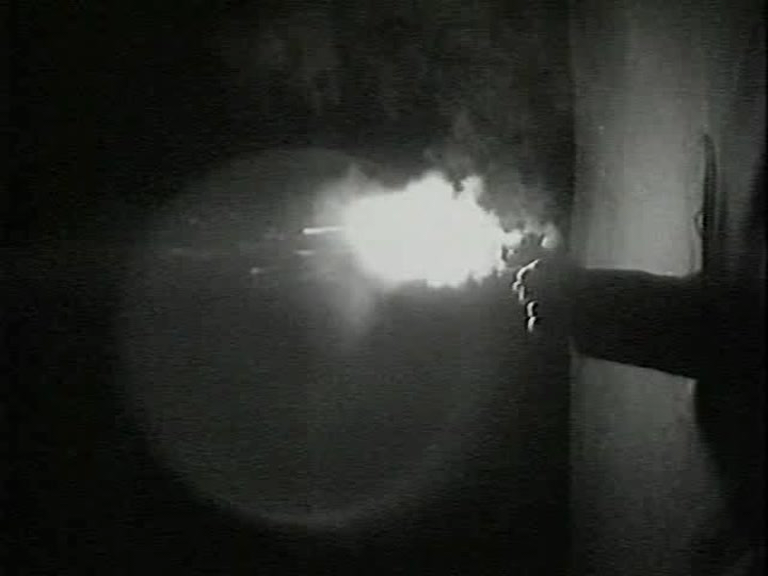 ANd when I try to get a good frame of the muzzle flare, I find this surreal image — the gun arm thrust through some canvas screen, NOT part of the movie scene, presumably an attempt to get complete blackout for the effect. Despite what Zinnemann saw as its corniness, the movie did well enough to land him an A picture, THE SEVENTH CROSS, about which much more later. Yet that triumph was followed by two unsuitable kiddie comedies, MY BROTHER TALKS TO HORSES and the other one, starring six-year-old “Butch” Jenkins — “a perfectly, normal, charming little boy, who had no talent, could not remember his lines and hated being in movies, but was made to carry on by his mother, whom he feared and adored.” Maybe this negative experience partly explains why Zinnemann became such an expert director of children. But that’s also down to his experience in documentary with Flaherty, working with non-actors but trying to capture authentic behaviour. “A third script arrived. It was lousy. When I turned it down, Eddie Mannix, the General Manager, sent for me. Zinnemann was suspended, which meant his pay stopped and he couldn’t work anywhere else and the time spent on suspension would be added to the end of his contract. Suspension would last until the picture he had turned down was ready for release. Not all stories about Mannix, the ruthless studio fixer, are so heartwarming… But this is a classic Zinnemann story: it comes on like entertainment, it turns out to be full of perfidy and injustice, and ultimately it’s about human decency and dignity. 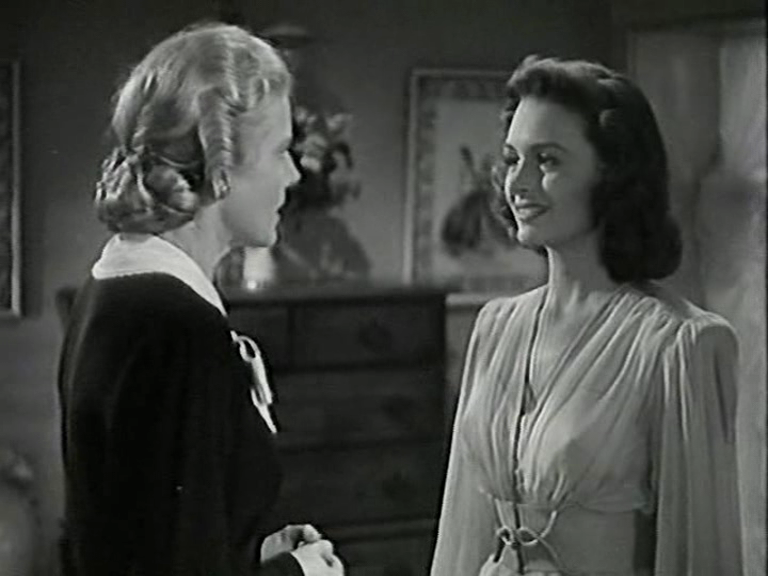 Ann Harding (left) and Donna Reed, who is the other connection to FROM HERE TO ETERNITY.